When María and I sat out to begin documenting the history of street photography, after some discussion, we realized that given the great variation in the art form, it was best to begin a discussion of what street photography is by looking at its pioneers and the work they created. In this chapter, we’ll touch on some of the acclaimed masters and tell you a bit about them and their work. We won’t do much analysis of their work here; that’s probably best served by looking at one photographer at a time. (Besides, María’s better at analyzing art than I am.) We’ll also limit our discussions to final prints, and ignore the tremendous amount of work printers put into creating them from the raw material. There are a few immediate problems when you try to document street’s history. First, very few credible and comprehensive works on street photography exist, and those that do exist are quite pricey. Second, there’s little consensus on how to categorize the history. That’s not to say you won’t run into hordes of photographers who insist they know when the art form began and exactly what the deciding factor was. However, I promise you, those people are wrong. My smarter half and I will discuss this more later in the series, but let’s lay out a few premises: 1) Street photography didn’t start in the 20th century. 2) It certainly didn’t start with the invention of the Leica camera, or with Henri Cartier-Bresson’s (HCB) use of it. And 3) it’s clear that “street photography” is as broad a label as, say, “street art.” So why are some so certain they know what is street photography and what isn’t? It’s because a few well-known pioneers, like HCB, laid out “rules” that their followers declared defined street photography and groundwork prior to that doesn’t count. Of course, that’s nonsense. It’s not absolutely clear when the term “street photography” was coined, but photographer Osborne I. Yellott appears to have been the first person to use “street photography” in print, using it as the title of an essay he wrote in 1900 “Street Photography (The Photo-minature).” As stated in the book, Unfamiliar Streets – the Photographs of Richard Avedon, Charles Moore, Martha Rosler, and Philip-Lorca diCorcia, by Katherine A. Bussard, Yellott defined street photography as either the “pictorial treatment of locality,” or a “record of scene or incident which may possess sentiment or merely human interest.” Yellott, a frequent writer on the subject of photography, wrote this tome ten years before Cartier-Bresson’s birth and 30 years before HCB took up the camera. In other words, rules be damned – street photography is a photograph of life on a street (with or without people) or a human interest photograph (which doesn’t require a street). For the purposes of this series, this is the definition we’ll use. This is because it’s safe to assume that Yellott was simply describing how the art form had grown at that point – starting as a device for studies, often commissioned by painters, of life on the streets and growing to a tool for documenting human society. This definition is the culmination of over 60 years of photography to that point. So, How Do We Proceed from Here? When I started researching this project, I had zero idea how street photography evolved. I had an idea it evolved from street art, a theory that María agreed with and expounded on. In fact, what I discovered, when I looked at my list of masters of street photography, was that distinct periods emerged, the first four of which we’ll discuss in this series. 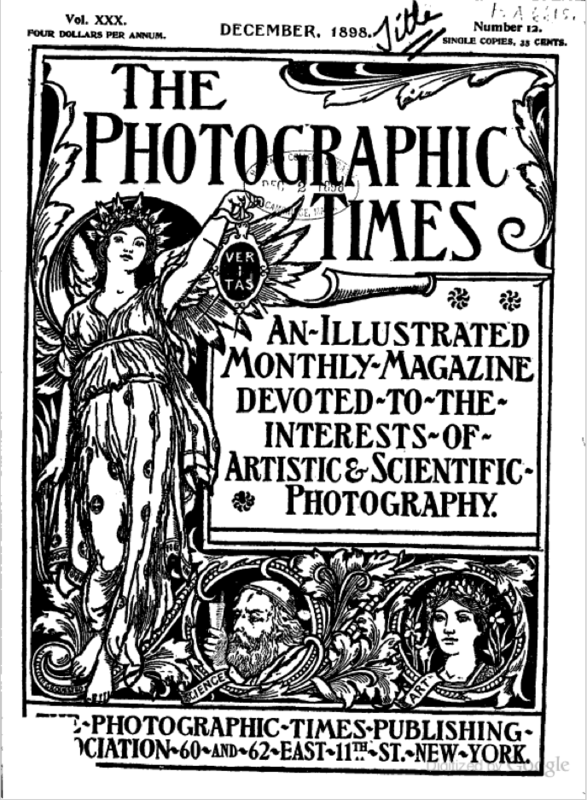 And, validating our theory, was the fact that many early photographers were trained as artists. to capture and trace scenes onto paper or canvas. 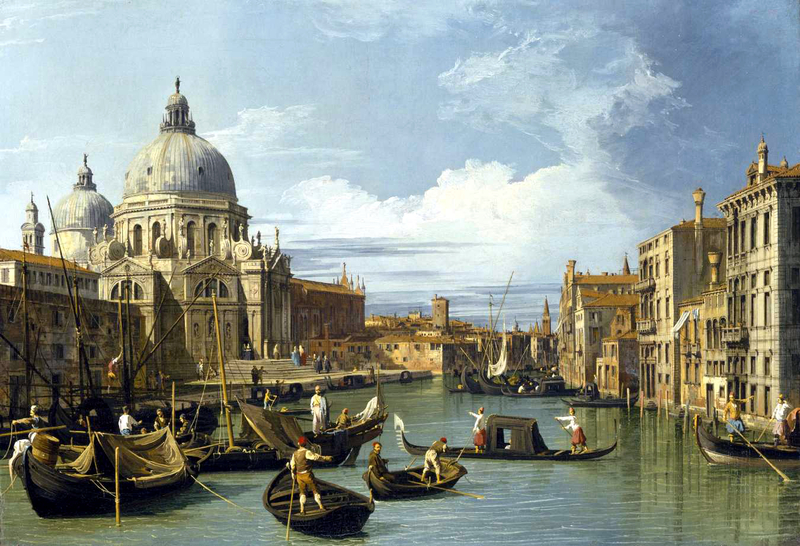 As Canaletto’s fame grew, taking him to England, his realistic and dynamic style permanently influenced later artists. So, at its core, and even before it began, street photography was born as an offshoot of urban landscape painting, and to similar effect. One can imagine Canaletto himself switching to the medium later in life when critics began to decry his work as repetitive. One hundred years after Canaletto’s heyday, the age of photography began in France, and street scenes were still very much in demand. Now, while I didn’t try to align these Epochs with generations, it’s perhaps no real surprise it worked out that way. 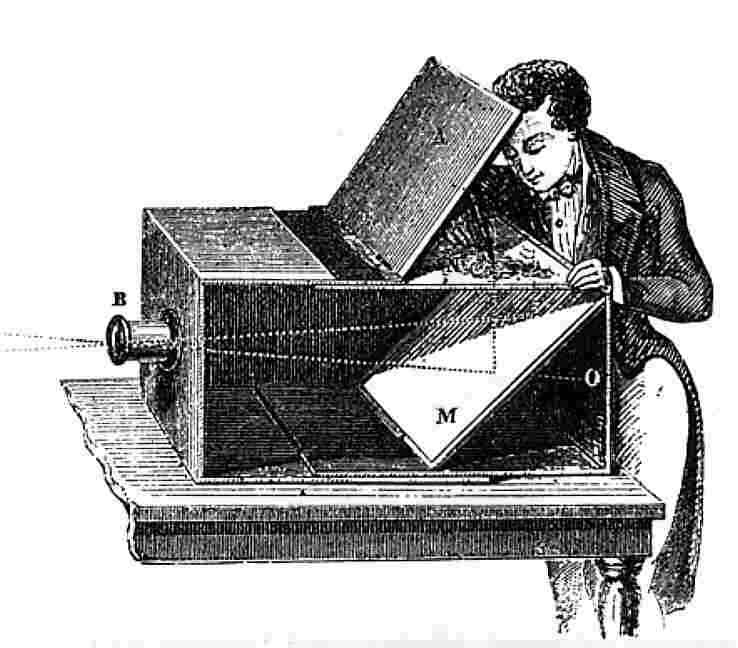 The first group of photographers, during the Foundational period, were the art form’s inventors and innovators. 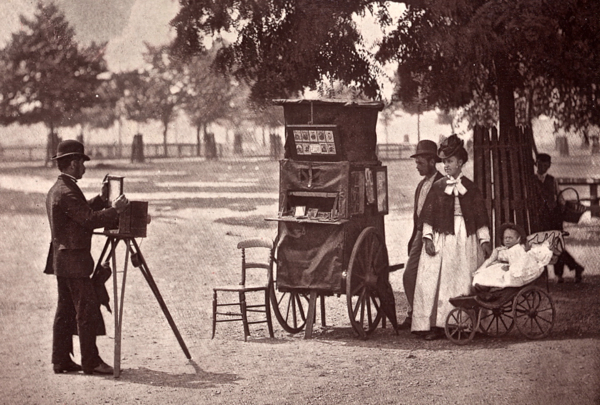 At its inception, photographers shot street scenes, much as painters had done for centuries. 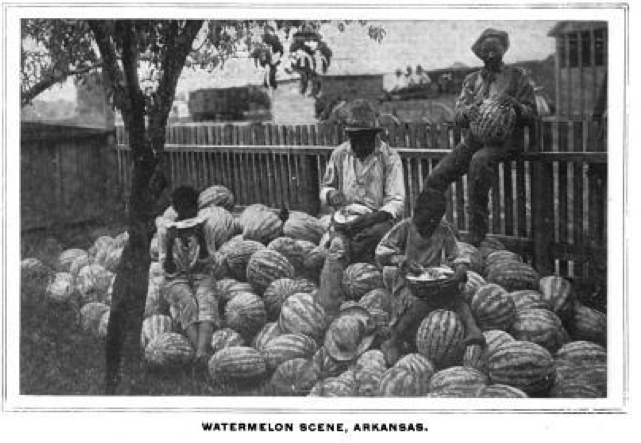 By the start of the 20th century, photography was well established and quickly diverged into a number of schools, especially documentary photography that focused on war and the muckrakers’ march toward social change. Post World War I shooters, like Dorothea Lange, used the tool to document life in a way that led to real change in the human dynamic. By the 1930s, the art world had begun to embrace photography as a viable form, and artists like HCB were drawn to the camera. This was a step up from the Foundational epoch, where early shooters, like Atget, took photos the late 19th century and early 20th that were originally intended as documents for artists rather than as independent works of art. Photography had arrived, and needed Rules. Enter the Rule Makers. What were these rules? Mostly a documentation of the most well-known photographers’ work flows. Were these the only or right rules? Who knows, but if you’re first on paper, you get to make the rules. Once some idea of what photography’s capabilities were established, street photography followed post WWII’s urbanization of the world, sending hordes of photographers on city streets in the process. The result was an Urban Explosion epoch that saw photographers began to overtly rebel against all the “rules” their predecessors’ created, each trying to make their mark and document the social upheaval that dominated much of the world. This brings us to street shooters that emerged up to the end of the 1960s, where we’ll stop. So, as we said, before we jump into really looking at street photography as an art form, let’s introduce the key players. We’ll brief you on (as of now) 47 shooters, split up into the 4 Epochs, starting with the Foundational Epoch and those pioneers who started it all. Understand that María and I are fans, not experts. While we are both street photographers and lovers of history, we are amateurs. As such, don’t assume our list to be absolutely comprehensive. I’m certain I left some off deserving to be here. If you think so, feel free to talk about them in the comments and we’ll see if we can add them in. Bill and Marie thank you for taking on this project and I look forward to learning more. Tim, it’s our pleasure. I hope you’re enjoying it. We’re having fun and learning a lot. We’ll probably put out an outline in the near future so people can see where we’re going with this. Bill, I think that would be a good idea. You might also want to include in this outline a resource “book” where individuals can go to links you have used. I realize that is a lot of work but it might be a way for others to explore deeper. Maybe post the link at the bottom of each presentation. Thanks again I’m learning. That’s a good idea, Tim. I’ll think about how to do that. I probably need to write some of these down anyway. Thank you Tim for your support and encouragement. I’m glad you are enjoying the series thus far. More interesting articles to come, and of course I will provide links to source materials when possible, as well as adding a reading list at the end of the post if necessary. Yes on the enjoyment and increased knowledge. And much thanks to you and Bill on doing this project. A reading is a great idea. Thanks you. I look forward to the next installment. Maria, sorry about the confusion on names. For some reason I did not associate Ishaiya with Maria. I’ll try not to make that mistake again. Thanks for the correction, Much appreciated. Ha! No apologies necessary Tim, I go under a few different names here on WordPress as I have a number of blogs. I thought I’d sign my response to you with my real name so there wasn’t any further confusion. Equally appreciated. I am finding myself quite wrapped up in this and find your research on the topic so interesting. For someone who by my own admission has a limited span of attention; this series is perfect and I find I want to do a little more digging. The comment about highlighting links is a great idea; but as the writer states; this means additional work for you both. Either way thank you guys; it’s a pleasure to read and I am enjoying gaining a better understanding of this fascinating topic. Thanks for your support and encouragement Bob. It’s been good fun delving into this very broad subject, with interesting results that I’m currently writing about and hope to publish soon. Glad you are enjoying the series so far. We are well, thank you Bob. I hope all is well with you too my friend.